I was asked by the super talented Tara Lilly, from Portland, Oregon to join the „Artists Around the World Blog Hop“. 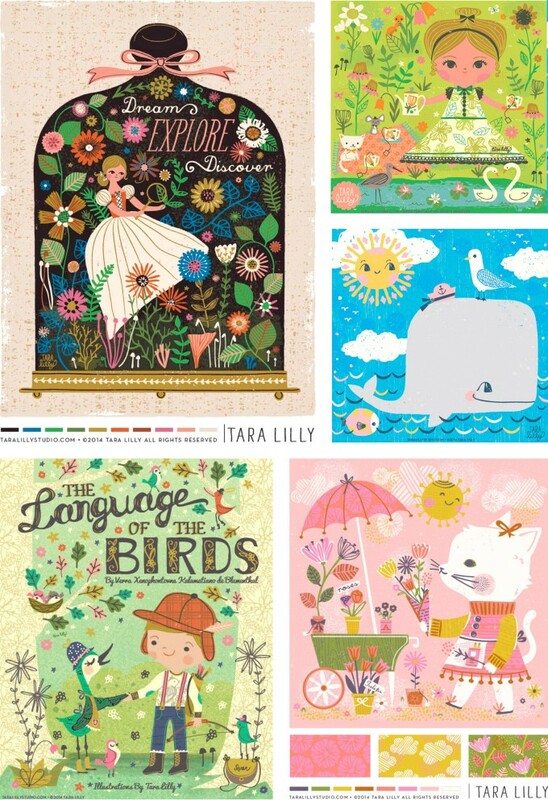 I met Tara Lilly in MATS Bootcamp a few month ago and have admired her work ever since. 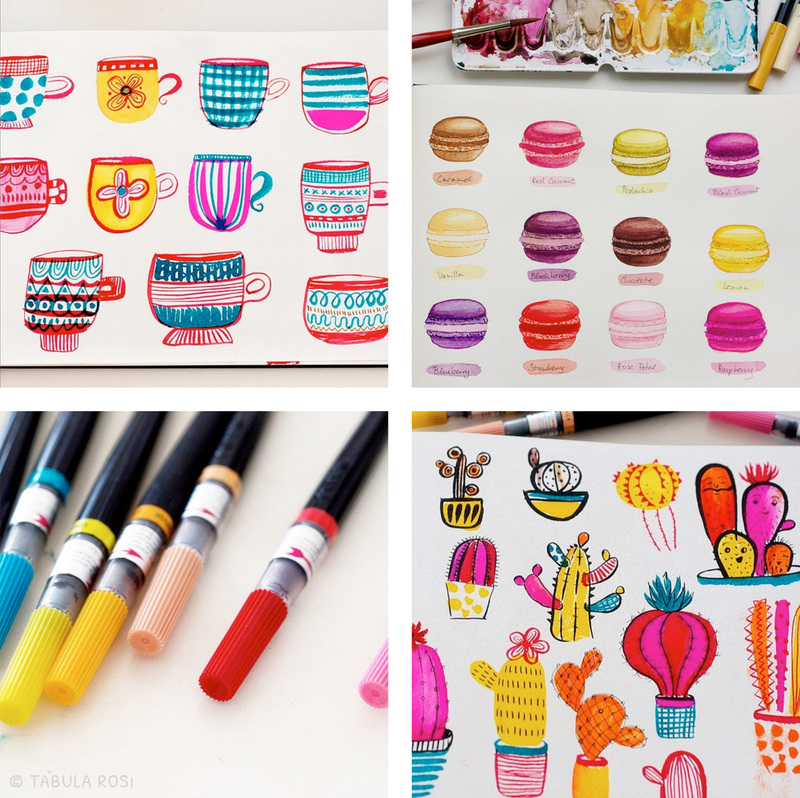 Her illustrations and patterns are always gorgeous, with hand drawn elements and great texture. 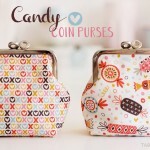 What I really love about her work is that she manages to create something truly sweet without being „too cute“. There is always a touch of magic and a lovely vintage feel that makes her work so special. I am not surprised that she is amongst the GTS semi-finalists and I keep my fingers crossed for her. I always have my fingers in many pies. Apart from my day job as a designer, I am currently working on some new illustrations for greeting cards. I also started experimenting with gouache, watercolor (which I haven’t been using for years) and my new brush pens. It’s fun, especially since I’ve discovered Instagram, where you can find my doodles and sketchbook experiments. That’s really a tough question. Since I started focusing on illustration only a year ago, I am still in the process of figuring out what my style really is – and I am not sure I ever will. Others describe my work often as happy, colorful and fun – and I can defiantly relate to that. I also noticed that I enjoy creating art most, when there is a little story going on. Maybe that’s because my background is in advertising, where everything revolves about storytelling. 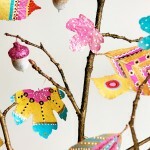 But I also like to do „decorative stuff“ just because it’s pretty – and I like pretty things. I never thought about why. It just happens. Weather it’s drawing, crafting, knitting, crochet, baking, decorating or DIY projects – I just love to make things. Ok., that’s enough about me. Let me now introduce two very talented and inspiring artists I met in MATS Bootcamp too and who will keep the blog hop going. 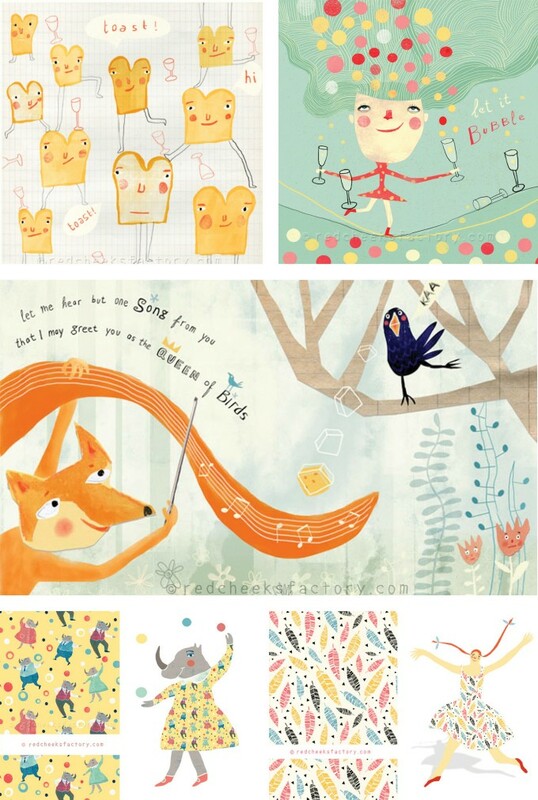 The first artist is Nelleke from the Red Cheeks Factory, based in Rotterdam, Holland. 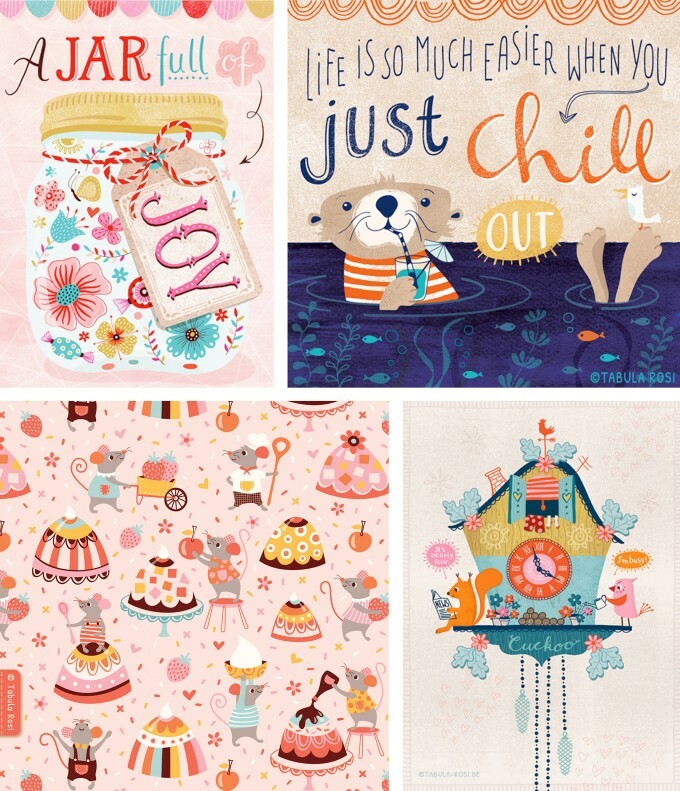 I really admire her quirky style and characters – they always put a smile on my face. I’ve spent quite some time thinking about how to describe her unique work. In my opinion the most accurate description is that it is very „Nelleke“. 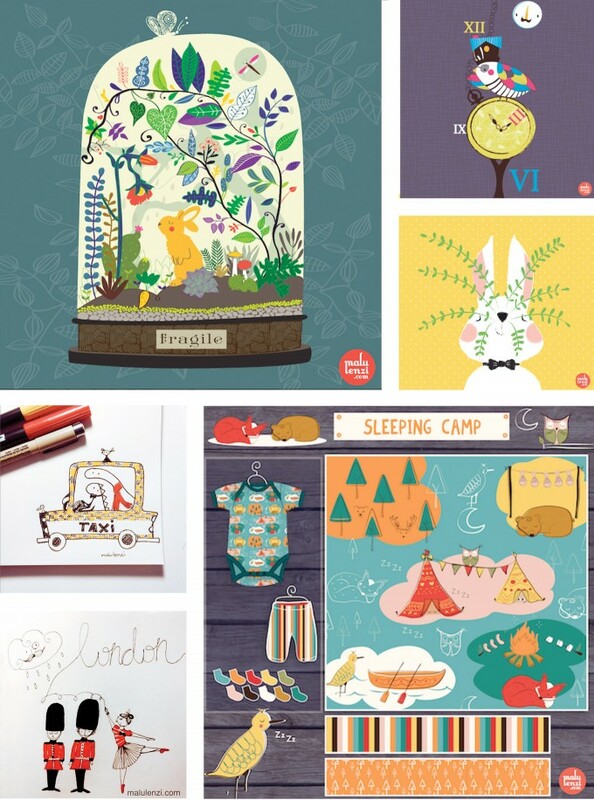 But not only her illustrations are fun, she also creates great patterns which you can also find on spoonflower. The second artist I want to introduce is Malu Lenzi, originally from brazil but currently living in Berlin. What I love most about Malu’s work is that it’s always fun and happy. I adore the sweet, funny characters she creates and I am also a big fan of her Doodles she is sharing on Instagram. With her gorgeous terrarium Malu even made it to the GTS semi-final and of course I keep my fingers crossed for her too! PS: If you fancy reading more Blog Hop Posts: Tasha Goddard collected all the links here.